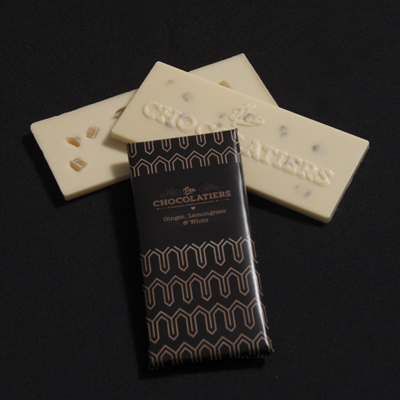 Organic lemongrass oil infused white Belgian chocolate bar embedded with small chunks of real ginger. All our ingredients are natural, organic where possible, and our couverture is Forest Alliance and UTZ certified. Notify me when Lemongrass, Ginger & White Chocolate Bar is available.